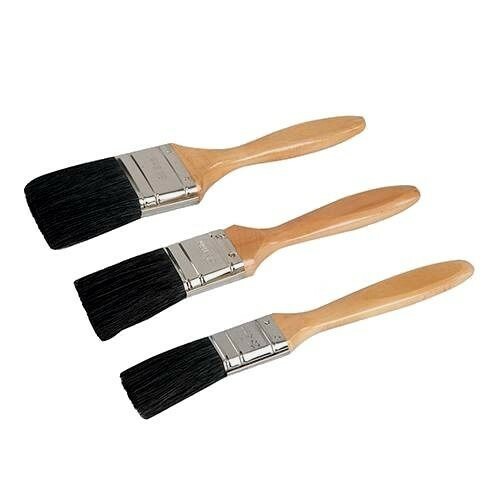 Brand New Premium Brush Set (3 Pieces) Super quality thick pure bristle paint brush, natural wood beavertail handle and stainless steel ferrule. Outstanding performance with water and oil-based coatings. Sizes 19, 25, 40, 50 and 75mm.